How many Rohingya have fled Myanmar? Why have they fled Myanmar to Bangladesh? 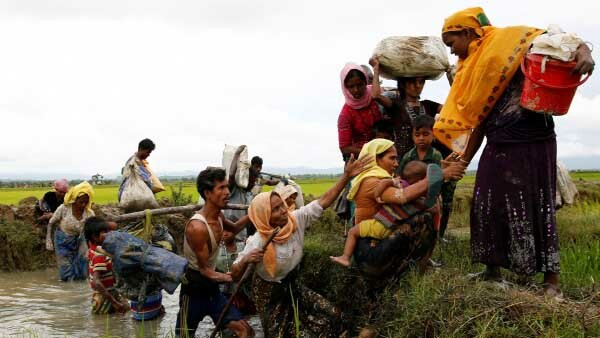 Rohingya refugees in Bangladesh refer to the refugees from Myanmar living in Bangladesh. An estimated 8,50,000 to 9,50,000 Rohingya people have fled to Bangladesh since 25 August 2017, to avoid ethnic and religious persecution by Myanmar's security forces. There are more 300,000 Rohingyas living in Bangladesh who fled in earlier violence from the Burmese government over the last three decades. Officially, Myanmar's government does not recognize the Rohingya as lawful citizens. The government claims they were brought to Rakhine from Bangladesh during the time when Myanmar was a British colony, and the government says they are living in Myanmar illegally. The Rohingya Refugees who are living in Bangladesh are suffering from many humanitarian problems. They suffer from food, shelter, water and sanitation problems. Women and children are the worst sufferers. They have no scope to take a bath. For this, they are becoming sick and getting affected by diseases. Now The Government of Bangladesh (GOB) is working closely with IOM and other agencies to establish a new 2,000-acre site. Site planners and engineers are working on access roads and layout of this large site to allow the provision of services. Until then, services and assistance are still required in Rohingya's villages throughout Cox's Bazar. Rohingya, they've been described as the "world's most persecuted minority". The Rohingya are a majority-Muslim ethnic group who have lived in the Buddhist nation of Myanmar for centuries. They have faced persecution at the hands of Myanmar's military since the country's independence in the late 1940s. Buddhists in Myanmar believe that Rohingya are Bengali who migrated to Myanmar illegally during the British rule in the subcontinent. 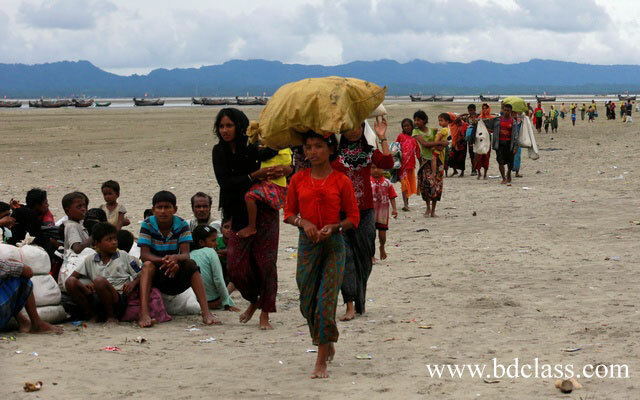 Recently, a military crackdown held in August 2017 which creates a new mass exodus of Rohingyas towards Bangladesh and many other countries. Most Rohingya have sought refuge in and around Cox's Bazar in Bangladesh. There they spend their days and nights in an inhuman condition. Bangladesh govt and foreign organizations try their utmost to handle this situation. But it is getting worse day by day.UNO, Turkey and many other Muslim and non-muslim countries are trying to stop this heinous work of Myanmar govt. Though their state councilor ONG SAN SUKI declared that she will give all the rights of Rohingya. Can I get a paragraph on Bangabandhu Satelite and Padma Shetu?? ?